Hello everyone am back to the pavilion ... haha, went on a europe trip and it was awesome. Even made few posts on the food in europe... the #Europefoodie posts can be checked @ my Facebook Page. 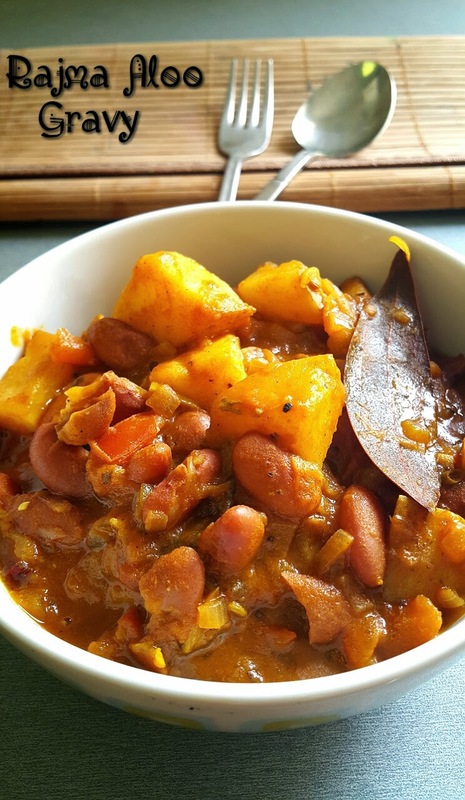 Soak the rajma for overnight and pressure cook for 5 whistles in a pressure cooker, check for doneness of the rajma if done add the cubed potatoes with the rajma and cook for 1 more whistle. In a pan add the oil and bay leaf, cloves and cinnamon to it and when nice aroma comes add the chopped onion and cook till slightly browned, then add the crushed ginger and garlic to it with the chopped tomatoes and cook till the raw smell goes or for 2 mins. Now add the masala powders (chilli powder, coriander powder and turmeric powder) with some water and cook till you see the traces of oil. 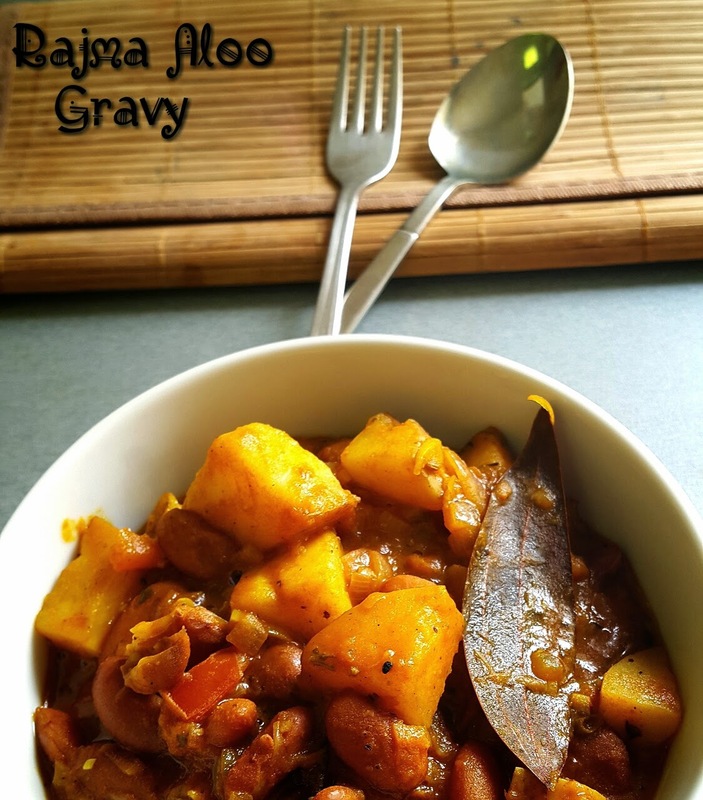 Using a potato masher or back of a ladle mash the rajma aloo mixture slightly to give thickness to the gravy, now add it to the pan and mix well with salt to taste and add enough water to achieve the required consistency of the gravy. Let it boil nicely, then add the garam masala and kasuri methi over and give a nice mix to the gravy.